If you have troubling skin concerns on your face or neck — such as lines, wrinkles, folds, acne scars, melasma or other pigmentation issues — an Erbium Pixel Laser Facial Treatment can improve them and many other problems safely and with long-lasting results. An Erbium Pixel Laser Facial Treatment is an effective alternative to more invasive and ablative skin resurfacing procedures, such as CO2 laser treatments, and has minimal downtime and recovery so it won’t interfere with your work or personal commitments. The treatment safely removes skin imperfections and naturally stimulates your body’s collagen and elastin production for worry-free rejuvenation. You can now have an Erbium Pixel Laser Facial Treatment at Spa Sydell. 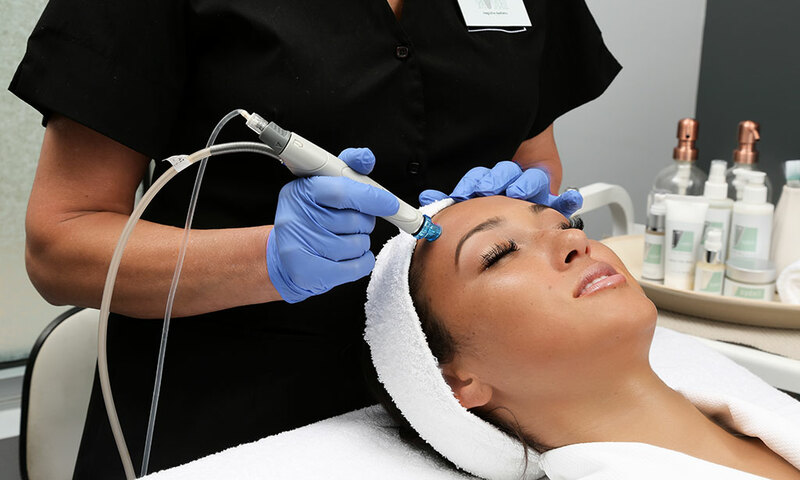 How does an Erbium Pixel Laser Facial treatment work? Fractional lasers, like the Erbium Pixel Laser, use a technique known as fractional photohermolysis. Using this technique, an Erbium Pixel Laser will deliver ultra-short pulse bursts of laser energy to skin cells beneath the surface layer of the skin. Further, the laser columns also act only upon interspersed groups of cells, leaving adjacent cells unaffected. The features of this method substantially reduce swelling, bruising and redness and improve healing times. The gentle heating caused by the absorbed laser energy is also very comfortable but will effectively eliminate damaged cells and naturally stimulate your body’s healing response. As a result, your skin will have more collagen and elastin present, which will boost healthy skin tone, elasticity and hydration. The result is a noticeable reduction in early aging symptoms and skin that looks younger, refreshed and more rejuvenated. What are the benefits of an Erbium Pixel Laser Facial treatment? An Erbium Pixel Laser Facial Treatment can help improve several unwanted skin conditions in a fast, effective treatment that is comfortable and has minimal downtime compared to conventional CO2 laser treatments. What symptoms and areas does an Erbium Pixel Laser Facial treat? Am I a candidate for an Erbium Pixel Laser Facial treatment? Individuals who have good health, unwanted skin conditions affecting the facial area and reasonable expectations about the improvements an Erbium Pixel Laser Facial Treatment can provide generally make ideal candidates for the procedure. What can I expect during my Erbium Pixel Laser Facial treatment? You can have an Erbium Pixel Laser Facial Treatment in less than an hour, and many patients only need one treatment session to obtain the results they want. Your treatment area size and the severity of your symptoms will generally determine the length of your procedure. Most patients, however, receive three to four treatments for optimum results, with treatments scheduled two to four weeks apart. An Erbium Pixel Laser Facial Treatment is comfortable and generally requires only local pain relief unless you have particularly sensitive skin. How long does recovery from an Erbium Pixel Laser Facial Treatment take? Patients who have an Erbium Pixel Laser Facial Treatment experience very few side effects and those they experience are generally mild and subside quickly. These side effects commonly include redness and swelling in the treatment area which typically resolve within an hour but may last as long as 24 hours, in some cases. Icing the treated areas can help if you have more pronounced symptoms. Also, you will have no aftercare requirements to follow post-treatment. When can I expect to see results from my Erbium Pixel Laser Facial Treatment? Most patients begin to see results after the first seven to 10 days of their Erbium Pixel Laser Facial Treatment, and results will continue to develop over the next six weeks as your body continues to produce more collagen and elastin and eliminate damaged skin layers. How long will my Erbium Pixel Laser Facial Treatment results last? You can enjoy many months of improved symptoms after your Erbium Pixel Laser Facial Treatment. However, since some pigmentation issues may recur, and aging is unavoidable, you will require periodic follow-up treatments to maintain your results. Many patients find that touch-ups every six months are ideal. Spa Sydell has served its Atlanta area clients for over 30 years, offering highly-personalized care, impeccable surroundings and spa and cosmetic treatments explicitly tailored to its clients’ needs. Spa Sydell has one focus — to ensure our guests look and feel their very best. Spa Sydell offers many spa services such as massage, facials and manicures and pedicures, in addition to proven and effective cosmetic treatments, such as fillers, injectables and laser treatments. At Spa Sydell, you can relax, recharge and improve many common skin concerns comfortably and safely. Call Spa Sydell at 404-255-7727 today to schedule your visit or consultation.